Can Producers Make their Ewes Lamb During the Day? 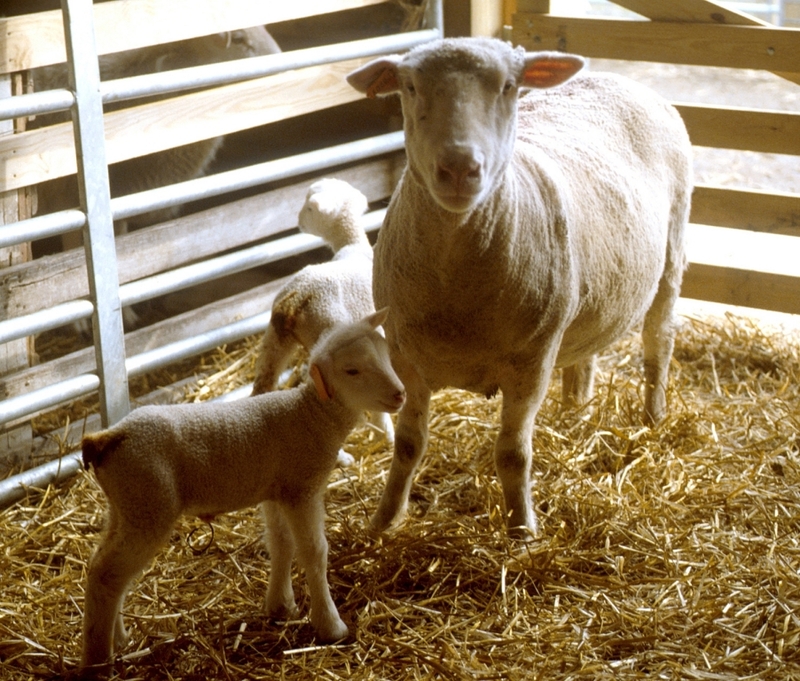 How to make lambing, kidding, and calving happen during daylight hours? Here’s a way to make your upcoming calving, lambing and kidding season a little less stressful: feed your pregnant stock every evening, right around dusk. They’ll spend the night ruminating and wait to give birth until morning. That’s the advice shared in this video (included below) by Glenn Selk, Oklahoma State University (OSU) Extension Cattle Specialist. The “Konefal Method” is named after a Canadian rancher, Gus Konefal, who discovered that changing his feeding time led to more calves being born during daylight hours. Researchers at the Kansas State Experiment Station followed up with a five year study to give us all a better idea of what we could expect from a change to evening feeding. Their results are similar to other studies. Dusk feeding meant that 34% of calves came between 6:00 a.m. and 10:00 a.m. Another 21.2% came between 10:00 a.m. and 2:00 p.m., and then another 30% arrived between 2:00 p.m. and 6:00 p.m. That left only 15% of the calves being delivered between 6:00 p.m. and 6:00 a.m. Of course your results may vary. When I did this with my herd of 35 does, they all kidded during daylight hours making my life much easier. If your livestock are grazing or you’re feeding with pre-placed round bales you can get a similar effect, though not quite as dramatic, by feeding a supplement in the evening. Research at OSU showed that 70% of calves were born during daylight hours just from this simple change. We hope this video from OSU will make your life easier! Editor’s Note: Please note that these results are from a five year study conducted on beef cattle at the Kansas State Experiment Station. I encourage all of you shepherds and producers to check out this video as well as the original post to see the comments that other producers have made. Many comments have been stating that other producers do the opposite and feed in the morning or at dawn. Their own personal results have shown that this helps with newborns being delivered during the daylight hours. I challenge each of you to conduct your own study at home to see what management strategy works best for you and your operation! Posted by Braden Campbell at 8:00am January 19, 2018 Posted in Management and tagged Management. Bookmark the permalink.